Now, no one will throw your valuable business cards away. 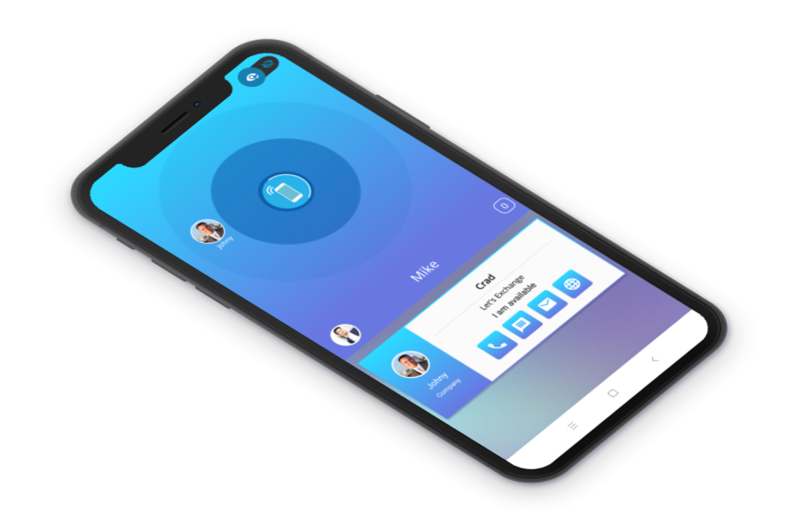 Crad uses own protocol to communicate with other devices. 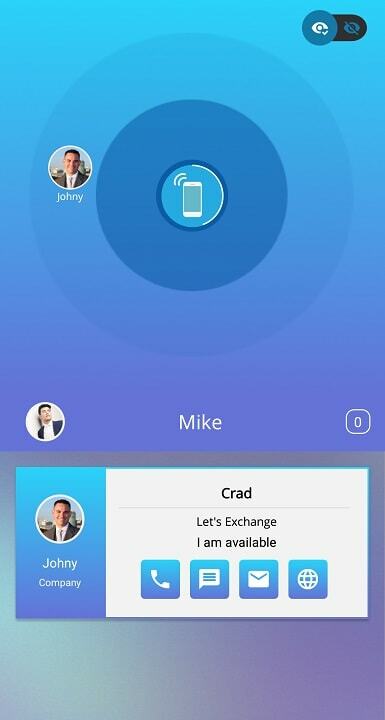 Crad enabled smartphones tetects each other within few seconds. Only single click is enough to share the card with other crad enabled devices. Protocol 7/2 makes crad fast and reliable. There is no any limit for number of surrounding detections. 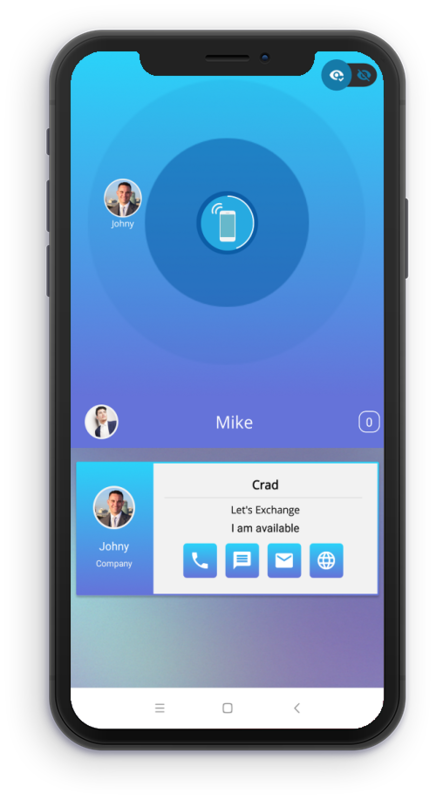 It uses all existing advance technologies from smartphone to communicate with surrounding smartphones. 88% of cards get trashed within a week. But from now your valuable cards will not go in the dustbin, The value of your card will get hike when it will be in the hand of right person. 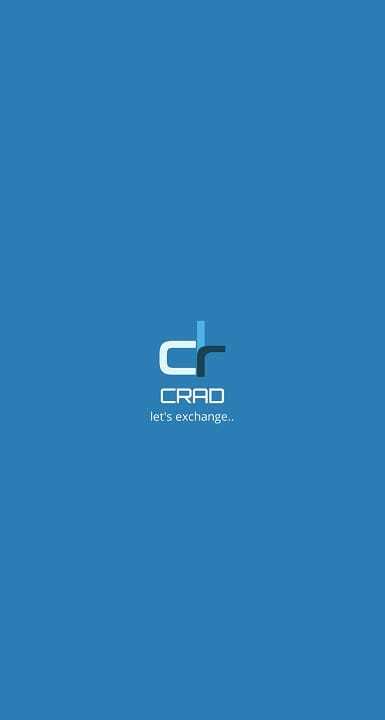 All crad enabled persons will find you within a few clicks. 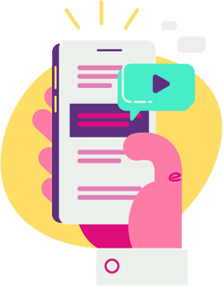 It will increase your customer reach with Zero cost. Information on visiting cards gets expired after few years. Many times user's phone number or office address gets changed, but your card cannot tell this to the person. Sometimes card leads to miscommunications due expired information. This will never happen with Crad, as you can update your information at any time. People forgets to carry own cards in the pocket, then what about other's cards. What will happen if you can carry thousands and thousands of cards in your pocket without adding single gram of weight. Card carrying will not be big problem after usage of Crad. You can find the appliation link on a top of the page. Currently application is available only by link provided. 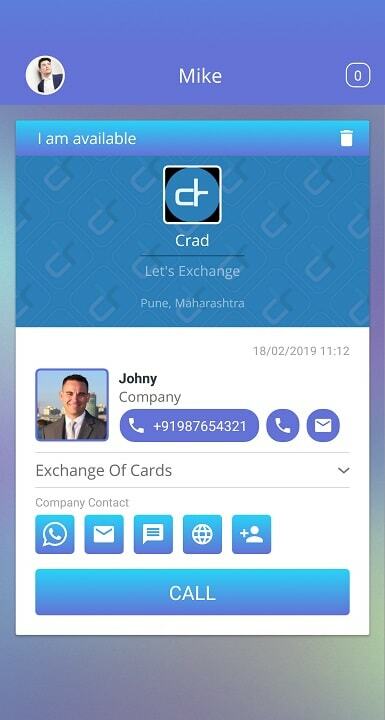 Fill all required information which you want to show publicaly, all crad users will be able to find your card by using the information given by you. Open the app and select the surrounding card to exchage. Other user will get the request of exchange from your account. Card will get exchange if other user will accept it. Still waiting for the right time? How my information will be used? Crad never shares/sell your private information to anyone. We only show your company information in public. 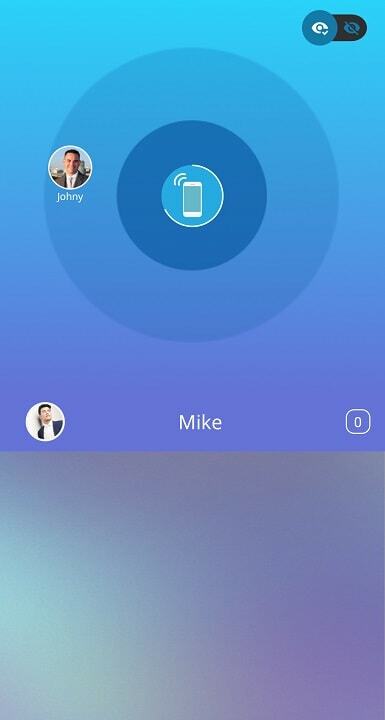 Your personal information will not get share unless and until you share it via app. What will happen if other person will not have Crad? You can share your formatted crad on WhatsApp even if you other person's number is not saved in your contacts. Can I update my information later? Yes! you can update your any required information from Profile option in application. The only one feild you cannot update is your personal email. which is used for login. How we can contact you for any issue? You can contact us on contact information provided in contact section of this page. One of our team member will contact you within 2 business days.